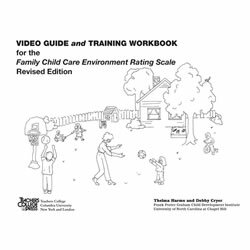 The increasing concern over the effect of child care on children's lives has focused attention on the quality of that care. Since most out-of-home care is provided in family child care homes, the need has grown for an accessible, reliable, and thorough means of assessing the quality and suitability of such settings. 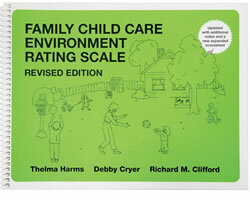 Developed through lengthy field testing, research, and revision, the Family Child Care Environment Rating Scale®, Revised consists of 32 items, organized under six major headings: Space and Furnishings for Care and Learning, Basic Care, Language and Reasoning, Learning Activities, Social Development, and Adult Needs. 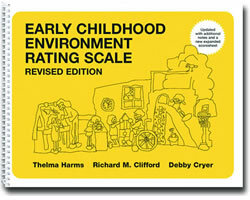 The Environment Rating Scales are used for many different purposes within the field of early childhood care and education. 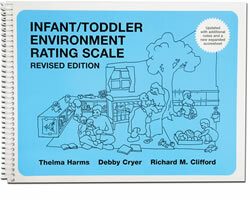 They are used worldwide for conducting research and monitoring quality assessment and improvement in learning environments. 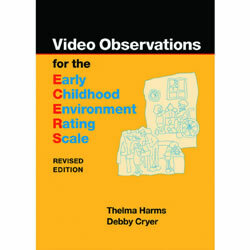 Dr. Harms is the lead author of four widely used program evaluation instruments: the ECERS-R™ (Harms, Clifford, & Cryer, 1998); the FCCERS-R™ (Harms & Clifford, 1989); the ITERS-R™ (Harms, Cryer & Clifford, 2003); and the SACERS (Harms, Jacobs, & White, 1996). 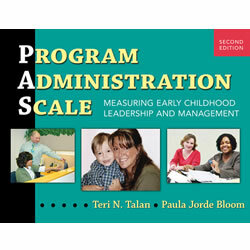 She consulted with the National Association for the Education of Young Children (NAEYC) in the development of its center accreditation instruments and validator training procedures and is a co-author of the school age child care assessment instrument, which is being used in the NSACA accreditation. 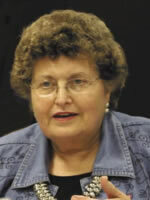 Dr. Harms co-chaired the national committee that developed quality criteria for family child care programs and developed an accreditation process and instruments for military family child care. 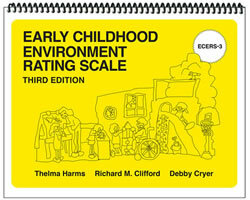 ERS 101 Online Training is developed and delivered by the authors as an introduction to the Environment Rating Scales! 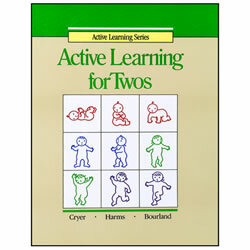 Each course is self-paced, allowing participants to start and stop as often as needed. 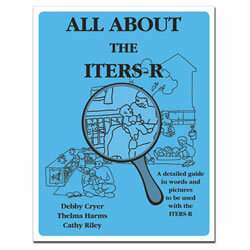 Each course takes about 5 hours to complete and includes embedded learning checks to assess understanding of key concepts. 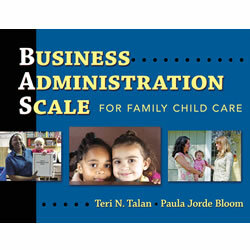 Available 24/7 on any internet-supported device, scale authors and their staff are on stand-by to answer questions via email (during weekday business hours). 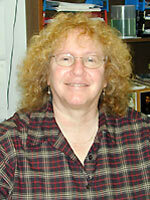 Printable certificate and CEU credit is available. 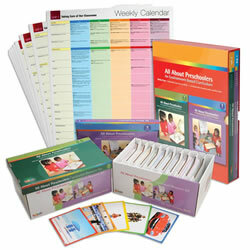 Most courses are also available in Spanish. 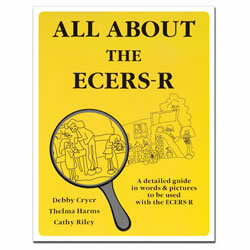 This multimedia package demonstrates how to use the ECERS-R™. 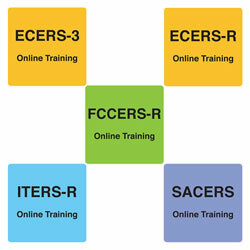 Each training package contains an interactive video and an Instructor's Guide, which explains how to present the various training activities and provides answers and explanations for any questions that may arise. 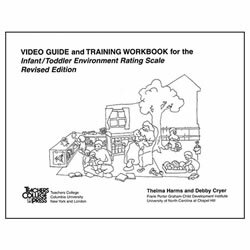 A 16-page Video Guide and Training Workbook, containing training activities, is sold separately, which can be reproduced for use in the classroom for educational purposes only. 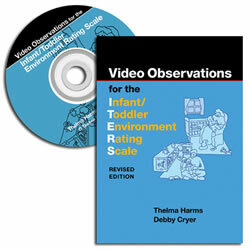 Practice evaluating and scoring the environments shown in the ECERS Video. Video sold separately.